Stay safe and sound with these four hot tips. In no small way, I was a “professional passenger” during my 15 years at Powerboat magazine. 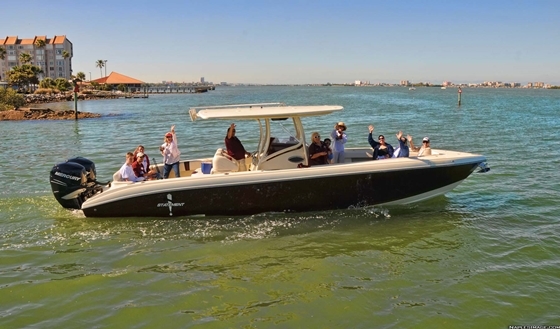 While I rode in more than 500 high-performance boats—and wrote more than 500 boat tests—during my time at the publication, professionals handled the test-driving chores. Existing sea conditions, as well as those created by groups of boats, are dynamic and passengers need to pay attention at all times. Photos by Jay Nichols. I did get to drive boats for running photography now and then, but when it came to putting them through their paces in the magazine’s heavily formatted drills, those duties fell to Bob Teague and John Tomlinson, both of whom are world champion offshore racers and go-fast boat rigging/setup experts. The worst injury I sustained during all that testing? Blisters on the lower inside portions of my thumbs, meaning blisters from hanging on tight in rough water, at high speed, or both. Do that eight times in a day and blisters are inevitable, but beyond that I didn’t get a scratch. Without question, much of your safety as a passenger in a go-fast boat is in the hands of your driver, and I rode with the two of world’s best. Still, I did learn some big things—four in fact—that were essential to my spending so many hours in such an inherently risky position without sustaining an injury. 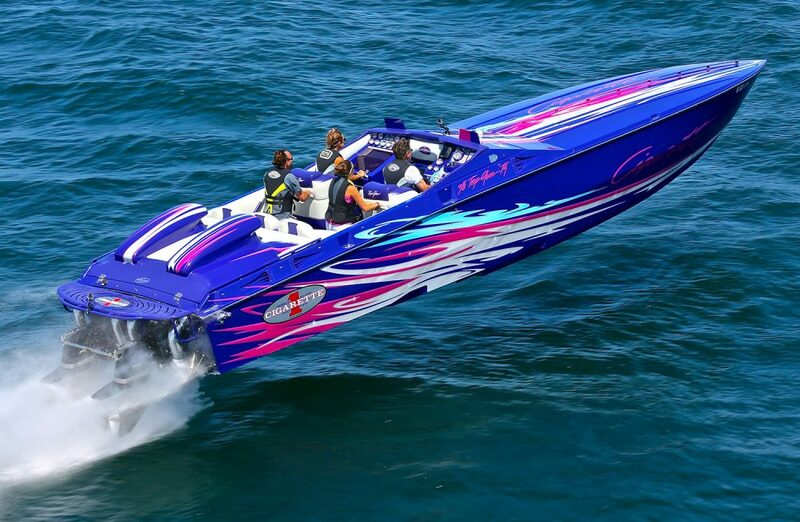 How do most people get hurt in go-fast boats? Simple. They lose their footing, most often in rough water, and either fall to the boat’s sole or get slammed into its gunwales. It doesn’t matter if you’re a fitness god or goddess, those surfaces are harder and less forgiving than any of yours, and if you slam into one you could get hurt. 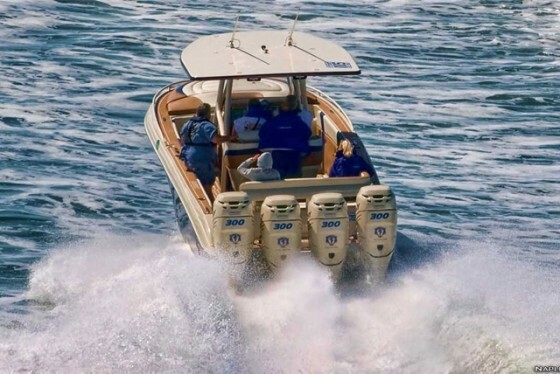 When the water is smooth, passengers without their own bolsters or bucket seats can sit, but still need to be aware that conditions can change in an instant. 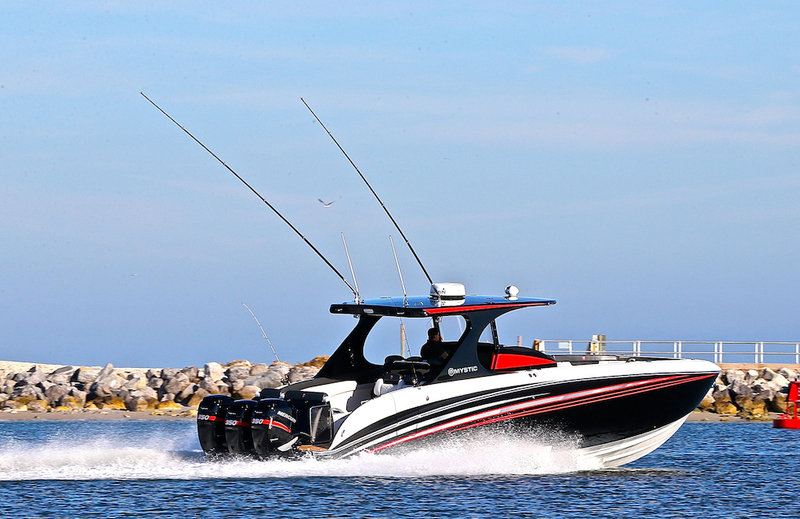 Here are four key things you need to do to maximize your safety as a passenger in a go-fast boat. They are not guarantees, of course, but without question that can help you minimize your exposure to injury. 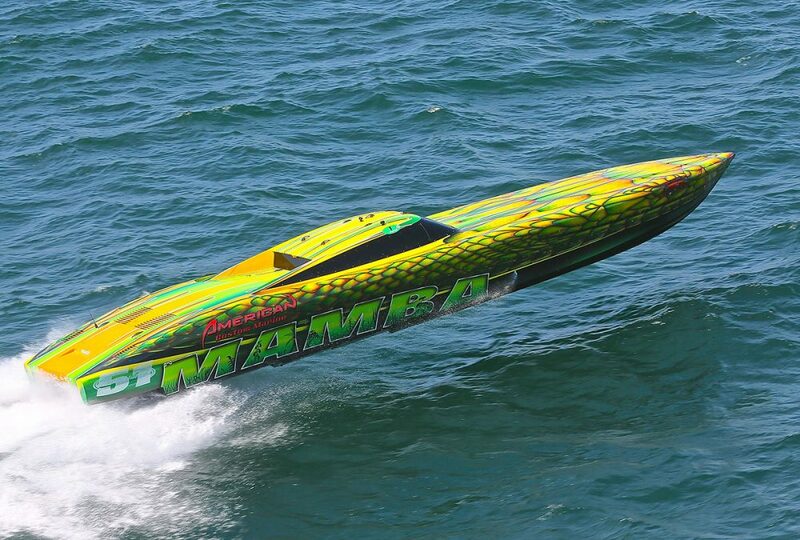 From the babe-filled V-bottom running next to you to the exotic catamaran that just blew by you at 130 mph, distractions are everywhere in a go-fast boat. That’s especially true during events such as owners’ rendezvous and poker runs. But when your boat is underway, you need to watch the water ahead of you, with occasional glances to the side. Do that and things such as cross-wakes created by traffic, rollers from large vessels, and potential hazards ahead (unseen shallows, broken-down boats dead in the water, half-crazed personal watercraft rodeo clowns, etc.) that could force your driver to take evasive action such as turning hard or abruptly slowing won’t catch you by surprise. 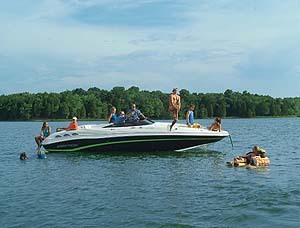 With a load of passengers on board, drivers needs to operate their boats well within the comfort level of their least comfortable passenger. Waterways aren’t highways—they are dynamic environments with ever-changing conditions and forces, and those forces can act upon your boat in surprisingly strong ways. 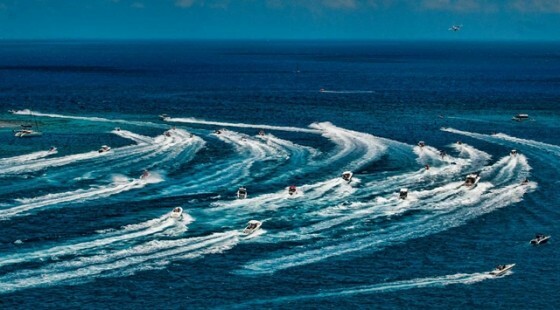 Let’s say you’re in the middle of a poker run fleet running 70 mph and see several converging wakes created by the boats ahead of you. In a few seconds, you’ll be in the thick of them. Chances are the lateral push—or roll as it’s called—will be anything from moderate to violent, even if your driver slows down and attacks them from the correct angle. So it’s time to get ready for the force of the wakes acting on the boat. Even with the most skilled river in the world behind the wheel, those forces will come into play—it’s a matter of pure physics—and you want to be ready for them. Passengers who have their own bolsters or bucket seats have a decided advantage over those who don’t and have to stand while underway. With the bottom cushion dropped out in a bolster, a passenger can stand, lean back, and let the piece of furniture take his or her weight. (I’ve heard a number of experienced boat drivers advise their bolster passengers to “lock out” their knees, but for any number reasons I think that’s a bad idea.) But if you’re a standing passenger, you need to be balanced while underway, especially in rough water. To optimize your balance, stand with your feet shoulder-width apart, bend your knees slightly and lower your center of gravity. Think of your legs as shock absorbers. That means having just enough tension in your leg muscles to absorb the impact as the boat launches and lands, and just enough flexibility to weight and unweight during the process. Words to the wise: A windshield frame is not a grab handle. 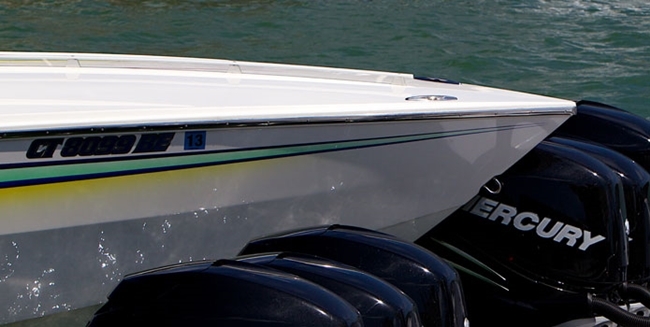 It is not designed to support your body weight, much less a few times your body weight thanks to the G-forces that come with performance boating in rough water. And some windshield frames have hard, sharp angles that could easily slice your hands. So avoid the temptation to grab them. Only grab handles are grab handles, and in the best case there will be two on the back of the bolster ahead of you. Use them. Grab them firmly, because a casual grip could lead to quick dip. If there are three passengers behind the bolsters, each outside passenger can share a section of his or her outer grab handle with the inner passenger. Three more quick tips for passengers: First, don’t sit in rough water. A bench seat becomes a trampoline when conditions get nasty. (And if you’re dumb enough to ride on a sunpad, sooner or later you’ll prove Darwin correct.) Second, let your driver know if he’s scaring you in rough water. Last, if your driver continues to scare you, politely ask him to take you back to the dock. And one quick tip for drivers with passengers: Drive well within the comfort limits of your least comfortable passengers, because you are responsible for their safety. Push the envelope on your own time with one experienced passenger in his or her own bolster. Respect your human cargo.